I’m back and it feels GREAT to be home! I will get straight to the party as there were some awesome link ups last week! 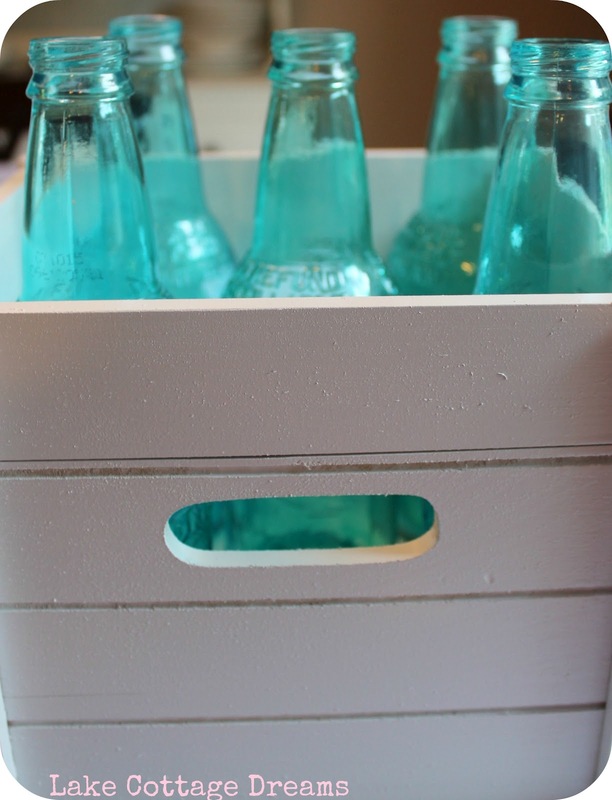 Here are a few of them…..
Lake Cottage Dreams shared an awesome post on DIY tinted bottles. Easy and cute! 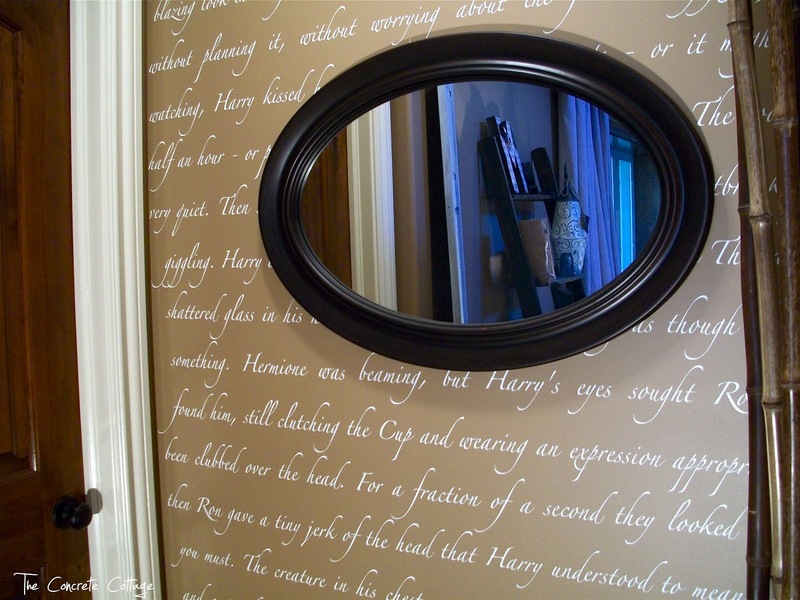 The Concrete Cottage shared an AMAZING script wall. YOU WILL NOT BELIEVE HOW COOL! Make sure you check it out! 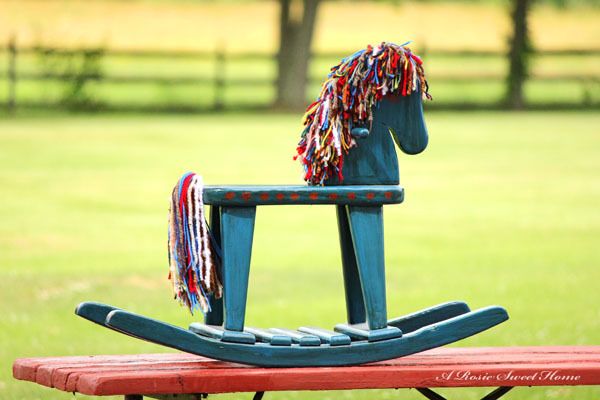 A Rosie’s Sweet Home had her mom guest post and she shared how to restore an antique rocking horse. CUTE transformation! But now it’s your turn! Sorry for the delay. Thank you for giving me the time to settle in with your family. Link up at the other great Monday parties already started after linking up here! I am excited to catch up on what you have been up to! * Make sure you place a link to my blog on the post that you are sharing. You can use my button or a text link is fine. * Follow my blog someway, somehow. Hang out with me on Facebook too! I love really getting to know you guys over there! *Visit the post in front of you and the post behind you. Spread the love and comment. We all love the comments and it is a great way to network your blog! Tell them you saw them here. That is it! Link up people! Not first but second! Welcome home Rebecca! Thank you, thank you, thank you so much Rebecca!!! This made my Monday SO much better. Hope you had an amazing trip. So thrilled you liked my script wall and thanks a million for the feature!! Linked up again, and this is the first time I’ve ever been #1 in the party. FUN! Thanks for hosting!! Glad you’re back! Thanks for hosting again, have a great week! Hi, Thanks for hosting, I am looking forward to getting to know you. My link is showing up yet. Does it take a few minutes? ps-and thank you for hosting too!